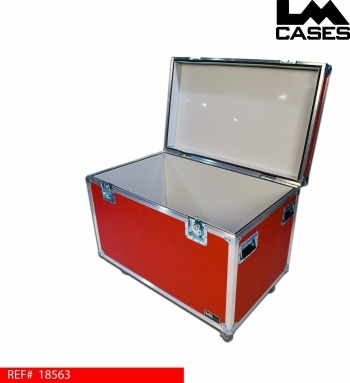 This case was built for Youngstown State University. 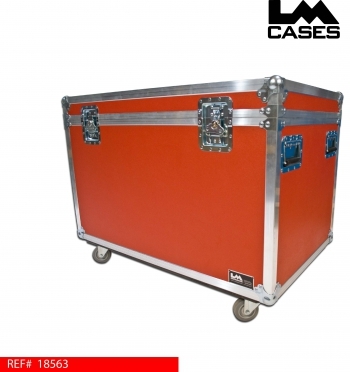 The case is built out of 3/8" plywood laminated with red ABS laminate. The case interior is lined with high density polyethylene (HDPE) plastic to keep all moisture contained. The exterior features recessed hardware and 3.5" Colson casters.